Interested in becoming a member of the Illuminati but don't know where to begin? Join the club. No, really, join the club later this month when DJs/promoters Adventure[s], the folks behind Glasslands' Robyn-themed parties, host an Illuminati Recruitment Ritual at Williamsburg's Baby's All Right. 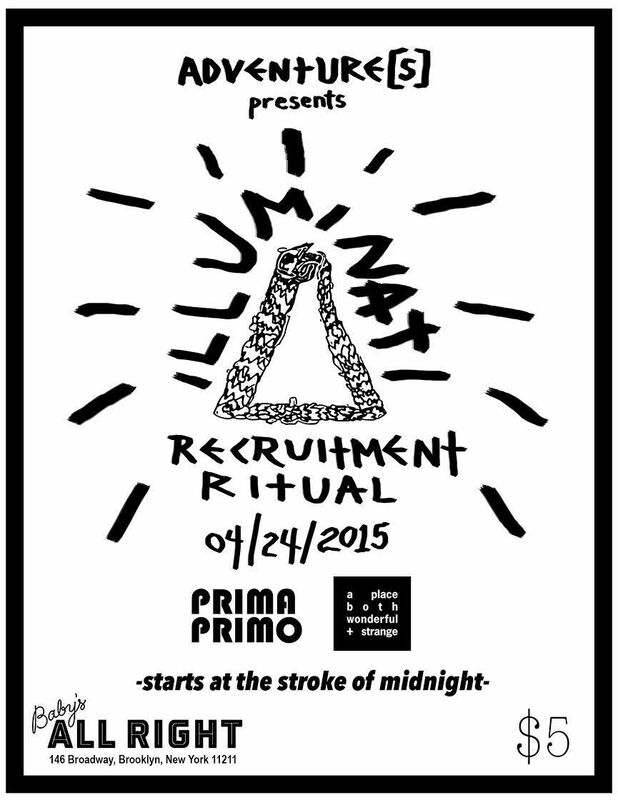 "What's an Illuminati Recruitment Ritual? Adventure[s] isn't telling, but it may or may not include: rapturous dancing to amazing DJs, fog, cloaks, chanting, strobe lights, an awesomely immersive once-in-a-lifetime party experience exploding and exploiting classic tropes cloaked in a shroud of weirdness and mystery, Lady Gaga, Madonna, Jay-Z, Beyonce and Nicki Minaj." Sounds great. Tell your inner lizard to keep April 24th open and start working on your cape now.